Do you need to take a breather on your travels? 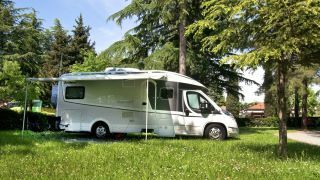 Do you need to take a break as you are driving your camper van? You will find all the necessary parking facilities here whether you are visiting or passing by. Park directly by the Adriatic Sea, refresh yourself with a swim in our beautiful water, come along to local events, and enjoy the colourful sunsets. You will regain your vigour for the journey home. Check where you can park your camper van. Check where you can take a breather on your way.